Some of the most pressing concerns for Minnesota homeowners are humidity levels, poor air quality, and increased utility bills. In the spring, those HVAC issues are a hot topic as the warm weather approaches. 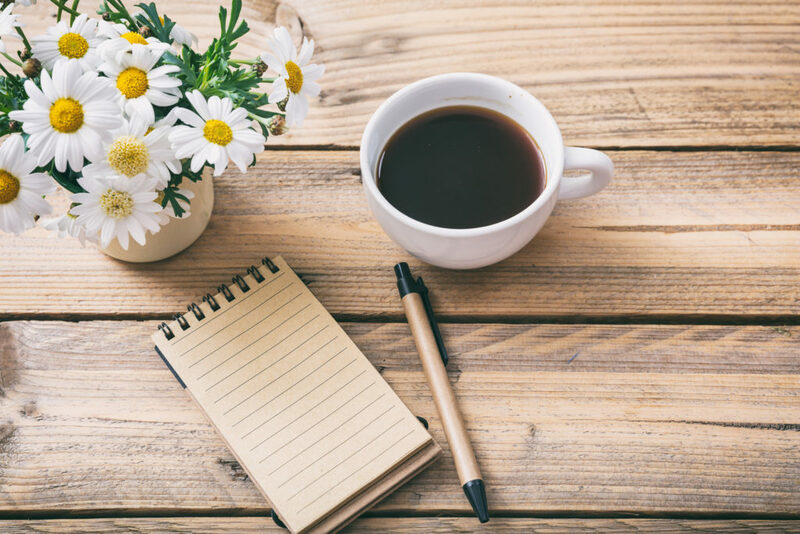 Follow our spring HVAC checklist to inspect and prepare your equipment for summer. Turn off power to your outdoor unit from the electrical disconnect and clear away plants, weeds, fallen leaves, and branches. Use a garden hose to gently rinse off the condenser coils. If the unit doesn’t get enough air or the coils are covered in dirt, it could overheat. Change your filter, and plan to do so monthly when your furnace and air conditioning are in use. Filters keep dust and dirt from entering your system, extend equipment life, reduce energy costs, and improve indoor air quality. Clean return air vents and floor registers in your home with a vacuum. If dust gets in the system, it could compromise energy efficiency and air quality. For a deeper clean, remove the vent, wrap a butter knife in a rag to scrub the individual grill spaces, and rinse with warm water and soap. Check the batteries in your carbon monoxide detector(s) and replace if needed so you know it is working properly to keep your family safe. Caulk windows and doors to minimize air leakage so the cool air your system produces isn’t wasted. According to the U.S. Department of Energy, the best time to apply caulk is in low humidity when the temperature is about 45 degrees, making spring the ideal time for this simple maintenance. Dust and mop so dirt, allergens, and other airborne particles don’t end up in your ductwork. Schedule duct cleaning if you haven’t done so in a while or you suspect your ductwork is dirty. Clean windows, blinds, and curtains so you can let the sunlight into your home and enjoy a clear view of the outdoors without producing a cloud of dust each time you open them. Dust ceiling fan blades and reverse their direction to rotate counterclockwise so they’ll blow air straight down and produce a wind-chill effect. Most fan models have a small switch on the motor housing. Power up your air conditioning to see if everything is working properly. You should visually inspect the unit for any leaking chemical fluids and check your home for burning, gas, or musty odors. Schedule service with your HVAC contractor for a thorough inspection. They’ll clean, lubricate, and troubleshoot your equipment so it will run smoothly and efficiently. Midwest summers can be particularly hot and sticky, and homeowners can spend up to 250 dollars a month running their air conditioner. WestAIR Heating & Cooling is here to help you save money in every season with a variety of specials on our services. We also provide indoor air quality solutions so you can minimize spring allergies and live comfortably. If you are having trouble with your HVAC system, contact us for repair and replacement services. Air ducts are like the lungs of your home, supplying your HVAC system with a steady stream of fresh air. With so much dust, pollen, mold, and other harmful particles floating in your indoor air, your ductwork can quickly become a home for dirt. Professional air duct cleaning can keep harmful pollutants from circulating and settling in your ductwork. Your technician will inspect the system to make sure there’s no asbestos-containing materials, as those materials require specialized procedures to disturb or remove. They may cut out small holes in the ductwork to get inside. Using vacuum equipment and bristled brushes, your technician will dislodge and draw out particles and dust. Then, they’ll seal and re-insulate holes. Make sure to research and hire a qualified contractor with the resources and expertise to clean your air ducts safely. If not properly cleaned, you could face problems like damaged HVAC components or holes that have not been tightly sealed, compromising an airtight system. How often should I schedule air duct cleaning? You’re unsure whether previous homeowners cleaned the air ducts in your current residence. There’s mold growth on visible parts inside your ducts or other heating system components. Your ducts are infested with vermin like rodents or insects. Your supply registers spew out dust when your HVAC system turns on. Your family is experiencing unusual or unexplained respiratory problems (allergies, asthma, sore throat, etc.). How do I keep my ducts clean on a daily basis? To prevent dirt from getting into your system, use a high efficiency, manufacturer-recommended air filter for your HVAC system and change it regularly, especially if they clog frequently. When installing, make sure that air cannot get through gaps around the filter holder/frame. When you schedule your regular HVAC maintenance service, ask your provider to clean cooling coils and drain pans. If you are having renovations or construction work done, seal off supply and return registers throughout your home and don’t turn on your HVAC system until you’ve cleaned up the dust. WestAIR Heating & Cooling provides duct cleaning service with our innovative Rotobrush equipment. 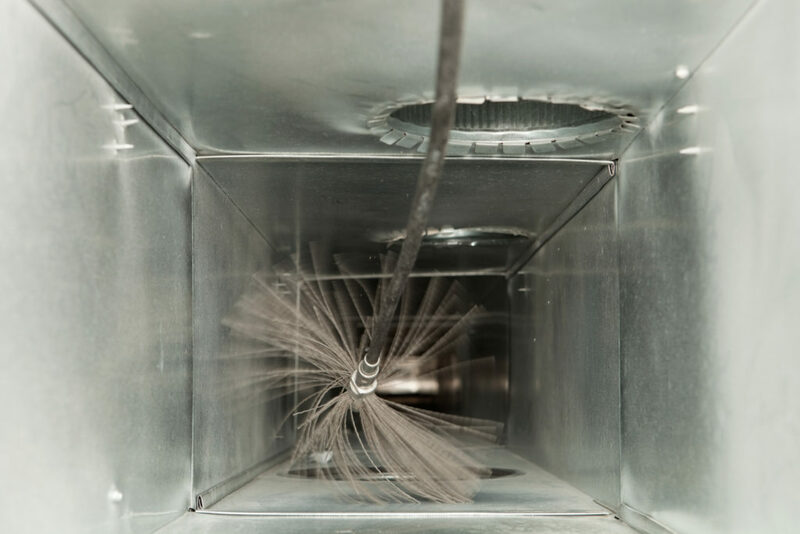 Using a powerful, specialized vacuum and cleaning devices, we draw air through your duct system to dislodge any debris that may be stuck on interior surfaces. We also offer air exchangers, air cleaners, whole house humidifiers, replacement filters, and more to improve indoor air quality. Contact us to learn more. Humans inhale 11,000 to 15,000 liters of air per day. Most families spend more time in their home than anywhere else. Without proper ventilation, your indoor air could hold gases, chemicals, or other pollutants that can cause headaches, eye and skin irritation, allergies, asthma attacks, fatigue, and even cancer or long-term health complications. What’s even scarier? Ninety-eight percent of all airborne particles are below one micron (1/25,000 inch) in size and invisible to the naked eye. Imagine a toxic soup of pollutants constantly re-circulated throughout your home, through your respiratory system, and into your bloodstream. Gas, oil, kerosene, or wood stoves and fireplaces. Building materials like insulation, carpet, cabinetry, and pressed wood products. Personal care products and household chemicals like cleaning solutions, glues, and pastes. Pesticides, pollen, pet dander, hair, or other fibers. Dust mites, molds, and bacteria. 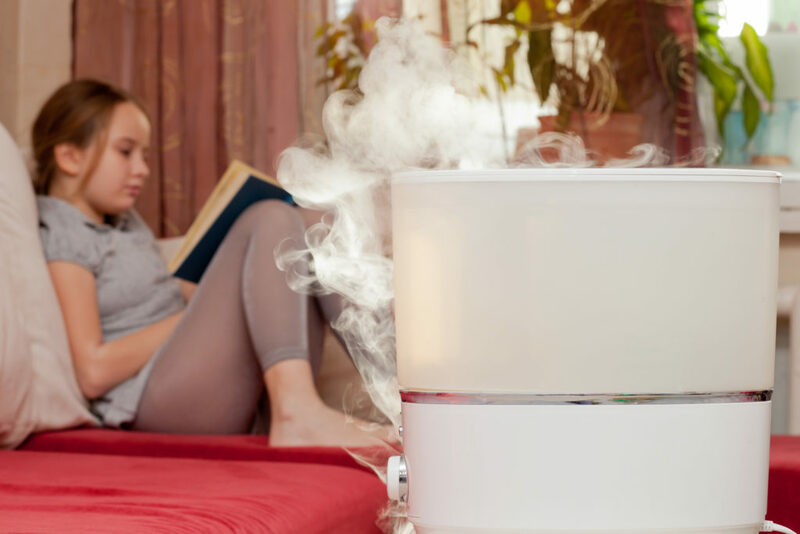 Invest in a whole house humidifier or a smaller unit. The Mayo Clinic recommends you keep your home between 30 and 50 percent humidity. Make sure all vents are clear of obstructions and working properly. Have your ducts cleaned and change your furnace filter regularly (check it once a month). Buy a houseplant like a peace lily, dracaena, or garden mum to act as an air purifier. Use an exhaust fan when cooking, running the dishwasher, or bathing. Make sure gas stoves are well ventilated. Use craft supplies in well-vented areas. Don’t wear outdoor shoes around the house. Test your home for radon and use carbon monoxide detectors. Vacuum frequently, and open windows when you do. Keep a lid on scented candles when not in use. WestAIR Heating & Cooling wants to help you live a healthier life with safe indoor air quality. We offer air exchangers, air cleaners, whole house humidifiers, replacement filters, and more to equip your HVAC system against contaminants. We also provide duct cleaning service so you can rest assured your air has clean, unobstructed passage throughout your home. Contact us to learn more. The coldest months of the year are on the horizon which means Minnesotans will spend increasingly more time indoors. That also means we’ll be breathing the indoor air from our home’s HVAC duct system. Improving your indoor air quality is simple. As a HVAC system circulates air throughout your home, it also moves around dust, dirt and allergens. Over time, these substances collect in your duct system, causing your system to work harder to provide the level of comfort you desire. Having your ducts cleaned by our professional WestAIR technician will ensure your ducts are free and clear of pollutants, and that you and your family are breathing in the cleanest indoor air possible. Fall is a great time to schedule this preventative maintenance before the winter season hits. Not only will you breath easier, but you’ll also save money in the long run by performing this simple step. Learn more about Duct Cleaning by contacting WestAIR Heating & Cooling today at 763.498.8071 or check WestAirHeating.com for more info and current specials. Asthma is a lung disorder that makes breathing difficult for millions of Americans. There is no cure for the disease, but fortunately it can be managed in a variety of ways. Many triggers inside your home can contribute to asthma flare-ups. An improperly maintained HVAC system carries pollutants like dust mites, pet dander, mold and pollen through ductwork, making it difficult for asthma and allergy sufferers to breathe. Fortunately, there are several ways to improve indoor air quality. Scheduling a professional service cleaning through WestAIR Heating & Cooling helps remove built-up pollutants from inside air ducts, stopping them from blowing throughout the home. Whole house Air Exchanger Ventilation Systems provide a healthier indoor environment by delivering a continuous flow of fresh, filtered outdoor air to the home. Recirculation provides constant flow of air to prevent stale air in your home for premium indoor air quality. WestAIR also offers both electric and non-electric air cleaners that work to efficiently trap particles at the source, providing you a cleaner and healthier environment. Give us a call at 763-498-8071 to learn more about the indoor air quality options available to you. We’ll have you breathing easier in no time! The quality of air we breathe inside our homes is important for comfort, but it’s also critical for maintaining good health. Poor indoor air quality (IAQ) has been tied to symptoms like headaches, fatigue, trouble concentrating, and irritation of the eyes, nose, throat and lungs. Some diseases have even been linked to specific air contaminants or indoor environments, like asthma with dampness. Cleaning your home regularly reduces the amount of dust, pollen, mold and pet dander in the air. Frequent dusting and vacuuming removes particles trapped in carpets and on counter top surfaces. Using a high efficiency air filter can remove harmful allergens and dust pollutants from the air in your home. Set a calendar reminder to change your air filter 30 to 60 days (for 1″ filter) or annually (for air cleaner filter). Our WestAIR Heating & Cooling professionals can install an air cleaner in your home to trap floating particles and clean the existing air you breathe. Not all home heating and air conditioning units allow fresh air to come in from the outdoors. Opening windows and doors when weather permits can help circular fresh, clean air indoors. Installing a high quality air exchanger can also help to bring fresh, filtered outside air into your home. Houseplants like aloe vera, mums, bamboo palm, golden pothos, ficus, Chinese evergreen, peace lillies and even Gerber daisies help filter allergens and pollutants from the air. Consider keeping plants in areas of the home where toxins are the strongest such as the kitchen, bathroom and laundry room. At WestAIR Heating & Cooling, we have the knowledge and experience to ensure you and your family are breathing healthy air into your home throughout every season. Give us a call at 763-498-8071 today to learn more. but we also take duct cleaning seriously. Count on our experts at WestAIR to eliminate your dirty duct problem with our Rotobrush cleaning system. Our “Source Removal” cleaning method uses a powerful, specialized vacuum. While the vacuum draws air through your duct system, we insert devices into your ducts to dislodge any debris that might be stuck to the interior surfaces.